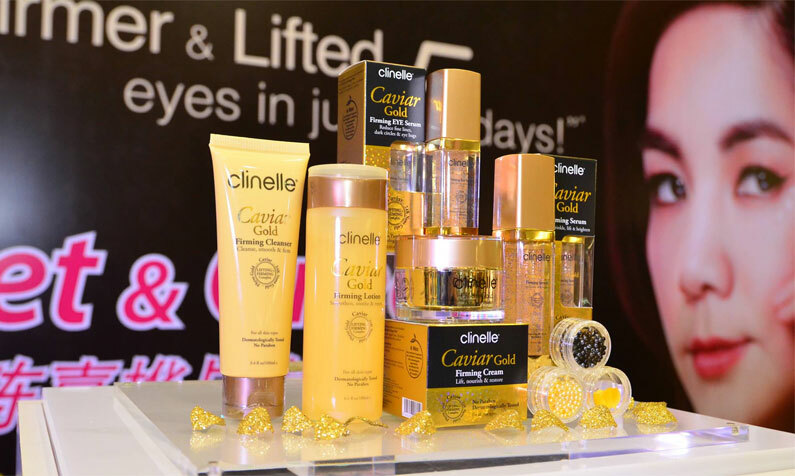 Clinelle has launched the new prestigious firming and lifting skincare range – Clinelle CaviarGold. 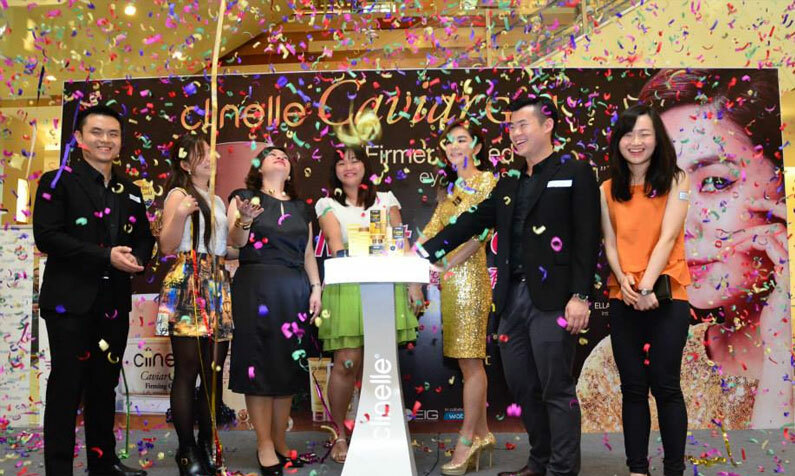 The award-winning artiste Ella Chen has made a guest appearance at the Clinelle CaviarGold concourse launch on 31st July – 2nd August at AEON Kinta City Ipoh, AEON Mall Bukit Tinggi Klang, Mahkota Parada, Malacca and AEON Mall Bukit Indah Johor. 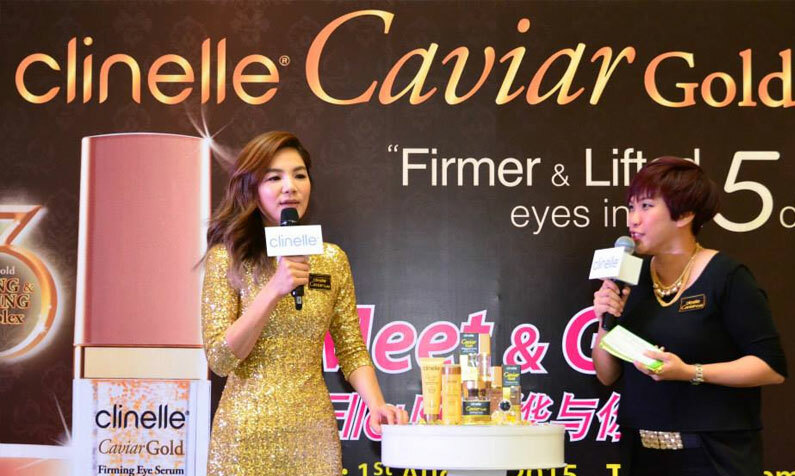 Before officially launching the Clinelle's CaviarGold, Ella was given the chance to speak about her association with the brand where she said "To me, our skin is a precious asset and I trust Clinelle skin care which has always been my preferred choice. I love its healthy and skin-friendly natural ingredients that gives me the efficacy I'm looking for. At the same time it excludes potentially harmful ingredients with its 6 No's Philosophy that gives me peace of mind. I hope everyone using Clinelle benefits from it the way I have". 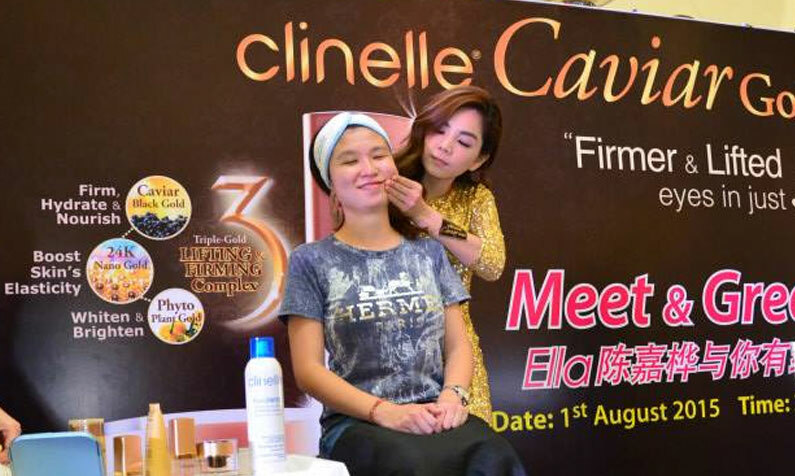 Ella demonstrated how to apply the Clinelle CaviarGold Firming Eye Serum with the “3 steps eyerobic” which helps her to de-stress after a long day of working. 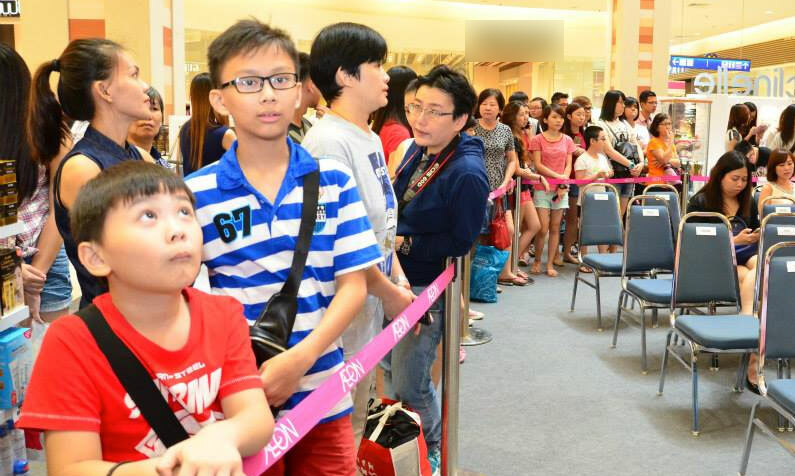 Last but not least, Ella’s fans queued to get on stage to receive her autograph postcard. Clinelle skincare collection has been dermatologically tested for its tolerance, and contains no paraben, therefore is suitable for all skin types. All Clinelle products are formulated with 6 ingredients to happy skin which excludes potential harmful ingredients: No artificial colouring, No artificial fragrances, No lanolin, No mineral oil, No SD-alcohol and No Comedogenic ingredients.